The spate of natural disasters has opposing sides arguing: Global warming! No…chastisements! Is it the final battle where the earth rises up in a heated rage or one where God says enough and shows us that he means it? I am not interested in that debate. Both sides agree that we have messed up. Our best next step should be running to our Mother. In the Bible, Jesus responded to his mother when she reported that things had gone wrong at the wedding at Cana. He took care of it because his mother asked him. 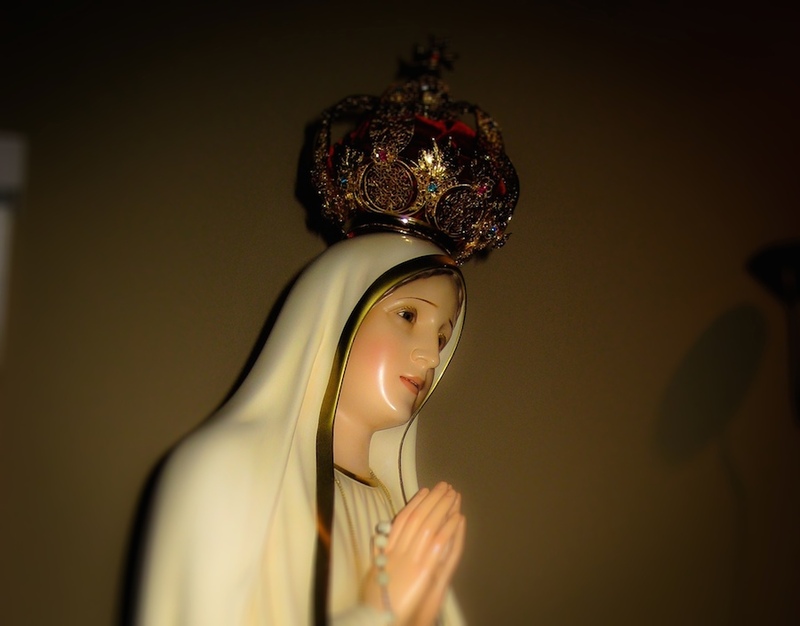 At Fatima, God sent Our Blessed Mother to warn us that were messing up and to pray and repent. It is clear that there has not been any improvement. So run! We have all we need to know in Fatima where word of a final battle was mention by the Blessed Mother to the 3 shepherd children in Fatima. Indeed, the war is on. The Blessed Mother came to show us the way to peace. We are to pray, offer reparation and fight for the family. On October 13, one hundred years after the miracle of the sun, we have the opportunity to answer that call in a special way. There will be a first-ever candlelight Rosary procession at the Basilica of the National Shrine of the Immaculate Conception. All are invited to come or watch the live broadcast on EWTN TV. His Excellency Donald Cardinal Wuerl will lead the historic candlelight Rosary procession and also lead us in a prayer of entrustment for individuals and families to Our Lady of Fatima’s Immaculate Heart. Eternal Word Network (EWTN) will broadcast live at 7 p.m. ET from, to over 140 nations. Father Mitch Pacwa, EWTN TV and radio personality explains more here. Earlier that day, at 10 a.m. ET, EWTN will broadcast the 15th annual Worldwide Children’s Eucharistic Holy Hour from the Basilica. This annual event spiritually unites the children of the world before Jesus in the Blessed Sacrament, making reparation to console Jesus and to pray for their families, countries and world. Fr. Chris Alar, MIC Director of the Association of Marian Helpers of the Immaculate Conception, will preside. Father Alar encourages all Catholic schools to participate in their parishes. You can order children’s prayer booklet prayer booklets to pray along. Two humble ladies in Minnesota are the ones who have organized these amazing events. Connie Schneider, director/president of Children of the Eucharist and Maureen Wong, vice-president, felt something big should happen to mark this 100th anniversary so they started planning and asking for help. Can you help spread the word? Or help with donations by going here?